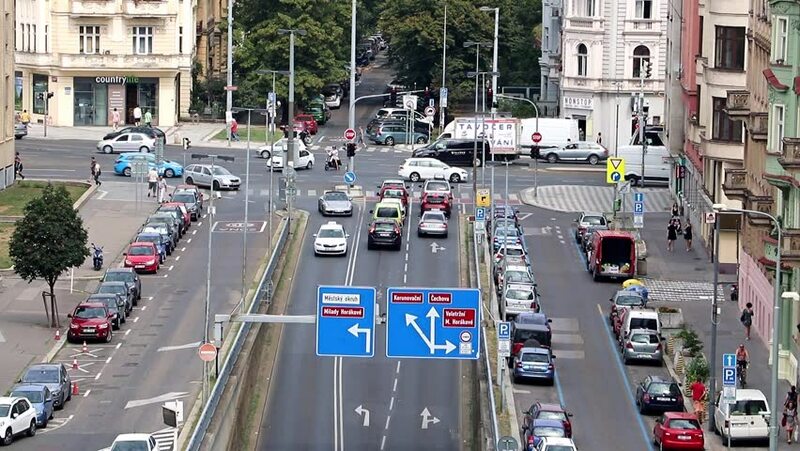 PRAGUE, CZECH REPUBLIC, AUG 09 2018, The traffic lights drive traffic at a busy junction. Transport at the crossroads in the city center. hd00:17Bangkok, Thailand August 2018. Aerial view of Yaowarat road. chinese old style building surround the street with traffics and people walk across on the crosswalk. hd00:21Timelapse of a busy intersection in Hong Kong.